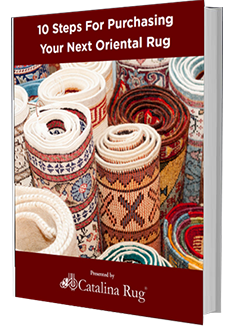 Large Oriental rugs look mesmerizing sitting right in the center of your living rooms. With their elaborate patterns, striking color combinations, and eye-catching motifs, it can be difficult to resist their allure. Unfortunately, placing a large sized rug into a compact space is far from satisfactory. It will result in your room looking cramped and overwhelming and ultimately detract from the beauty of the rug. If you are tight on space, you will need smaller rugs. Small rugs can imbue any room, even the smallest of them, with a distinctive style and character while also offering more flexibility, thanks to its décor options. With a small rug, you do not have to go looking for a place to fit it into. You can simply place it anywhere you please. The beauty of a compact rug cannot be denied. Besides its visual appeal, a small rug has multiple uses. This is one of the best uses of a small rug. You can use it to cover up flaws such as a chipped tile that can mar the look of your room apart from being dangerous. While you can get the tile replaced, the flooring will never regain its glorious self. If you want to give your room a flawless look, you can consider placing a small rug over the damaged area. This is a really ingenious way to cover up any flooring flaws with ease. Giving an oddly shaped room a makeover calls for a lot of creativity. No matter how you rearrange your furniture, you will find spaces that look bare, cold, and odd. This is where you can throw in small rugs to add color and life to a bare spot. Rugs serve utility in kitchens and bathrooms. They give you a soft place to stand while you are cooking or toweling yourself. They also add to the look and ambiance of the room. 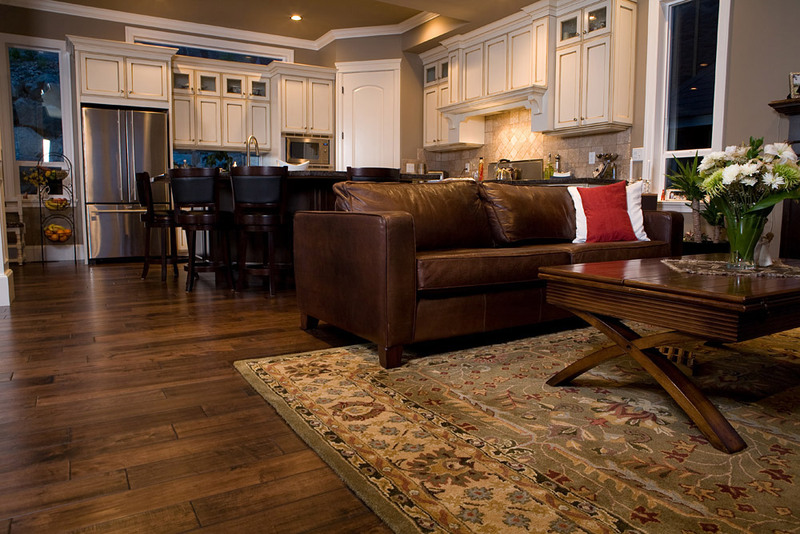 Using larger rugs in areas like kitchens and bathrooms will call for high maintenance. But, a small rug is easy to clean, keeps puddles of water away and livens up the room. Multiple flooring styles are in vogue today. However, they also tend to make your room look a lot smaller than it really is. 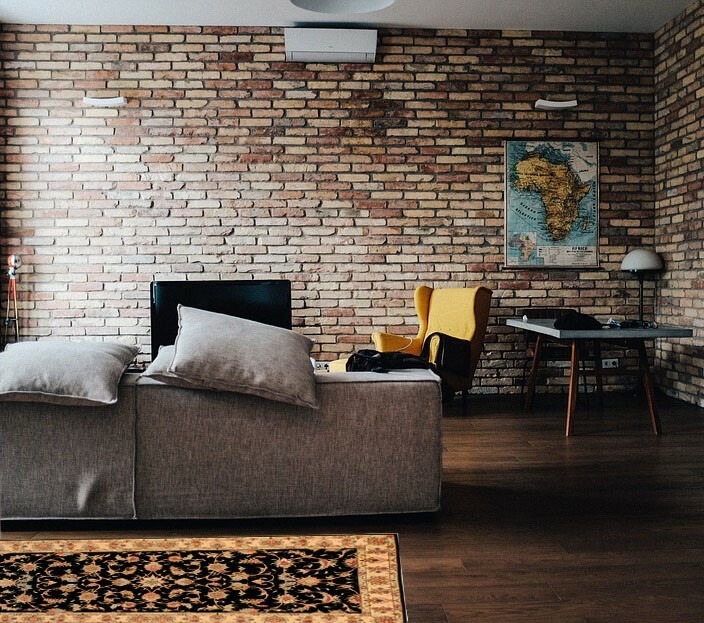 Use a round rug for small places to create a perfect connection between the pieces of furniture in your room. This will not only make the room look bigger, but also will highlight the space between the furniture. Your small rug can prove to be a handy furniture arrangement. It can help you arrange the furniture to fit in compact spaces effortlessly. Decorating a small room is tough enough. But, if the room is long and narrow it becomes all the more difficult. Ensure that you place furniture in such a manner that you do not send foot traffic right in between a seating piece and a coffee table sitting in front of it. Keep all the furnishings over one side of the room to facilitate foot traffic in a straight line. You can use a rectangular rug to serve as a pathway for foot traffic. Simply line up all your furniture in one straight line and place a long rug in front of it! 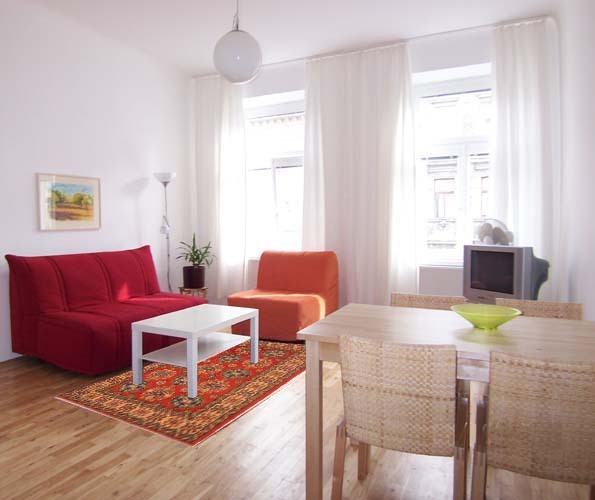 In a small space, the last thing you need is oversized furniture, dwarfing the room even further. So, use your small rug as a benchmark to scale the furniture to the rug. Use chairs that fit into the space easily and instead of a coffee table, use a wooden bench that is long and narrow. You can also incorporate armless chairs instead of a regular sofa to make the room appear less crowded. Small rugs don’t have to be vibrantly colored. You can opt for a neutral color and solid pattern, and ensure every other item is the room matches this color. This way, it will create an illusion of space and make the room look bigger than it actually is. 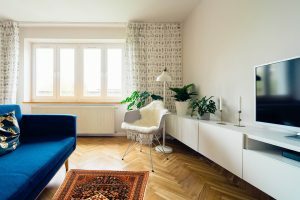 These simple tips will help you maximize space in your living room by using small rugs that not just serve utility purposes, but also give your room a splash of life and color.